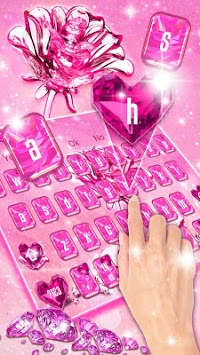 💢How To Apply Crystal Glitter Love Rose Keyboard Theme? ◼️ Download Crystal Glitter Love Rose Keyboard Theme, tap the INSTALL button. ◼️ Download Crystal Glitter Love Rose Keyboard Theme from Google Play Store. If you already installed, please tap the APPLY button. ◼️ After installed and applied, Crystal Glitter Love Rose Keyboard Theme Along With Fun Emojis & Pink Wallpapers will be automatically displayed on your phone while Typing. 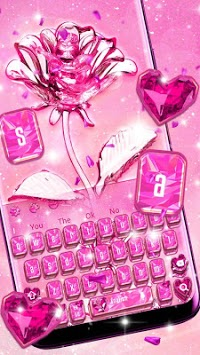 👉 Crystal Glitter Love Rose Keyboard Theme Will Make Your Phone Impressive And Alluring Like Never Before. 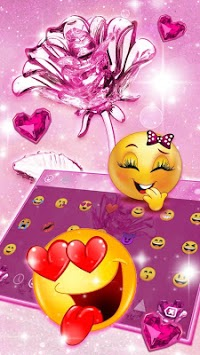 👉 Crystal Glitter Love Rose Keyboard Theme Will Escalate Your Device Performance And Its Features Will Make You Fall In Love With this Impressive Wallpapers & Fun Emojis. 👉 Supports 80+ Languages covering more than 138 countries around the globe. 👉 Enjoy The Impressive sound of Magic once you start typing the keys. 👉 Impressive Typing Prediction & Next Word Suggestion Will make your Typing experience a pleasure. 👉 Impressive Smart Reply Option can drive up your communication efficiency. 👉 Stunning transition effects with dozens of widgets, Wallpapers & Emojis make your keyboard look Gorgeous and Sorted. 👉 Full Support for Impressive Landscape & Homescreen Switching.